Support Eric King and interview with Dawn Ray’d (UK based anarchist black metal band)! This episode will include two segments, firstly Bursts speaks with a longtime supporter of vegan anarchist prisoner Eric King, who was accused in 2014 of attempting to firebomb a government officials office in Kansas City. 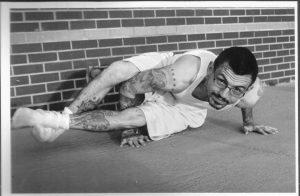 They speak about his case, veganism in prison, and steps moving forward with his support. Also about the fast approaching June 11th day of solidarity with anarchist prisoners, as well as for the first international day of solidarity with Eric on June 28th 2017 and the ideas and visions surrounding that . You can keep up with Eric’s situation by going to supportericking.org. Secondly William speaks with two members of the Liverpool based anarchist black metal project Dawn Ray’d, who have just kicked off a tour of the US with one date in Asheville on June 1st at the Odditorium. We talk about anarchism and black metal, what the two have to offer each other, and about the political situation in Liverpool as it relates to music culture, and many other topics. You can hear all their music on bandcamp for free.